So two years ago we started getting access to awesome farm raised pumpkins thanks to a local church that setup their own pumpkin patch. Being the nutjob that I am I find that I am always looking for the biggest baddest pumpkins they have to offer. Since their prices are so fair I simply can’t help it. 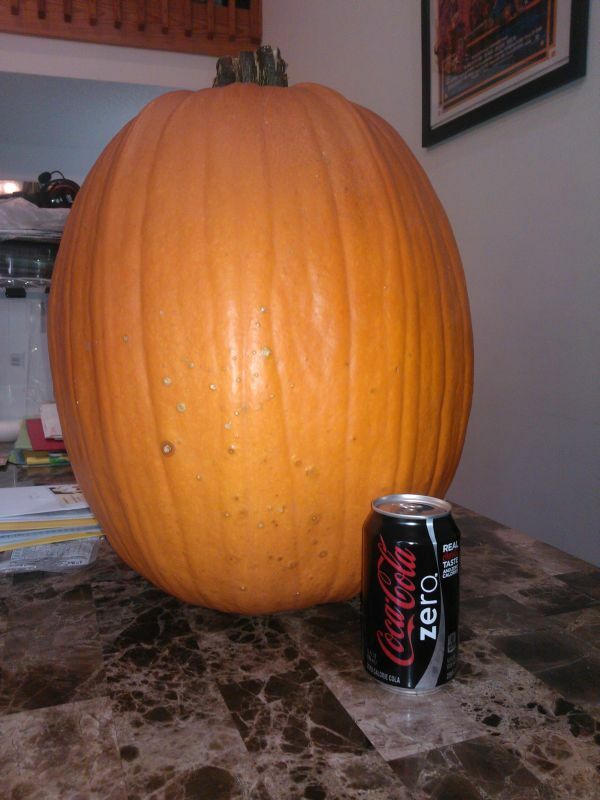 Last year I got this monster of a pumpkin. I added a few pics to give you an idea of how big it really was. The walls at the top were about 4 inches thick as I found out later when the blade of my knife snapped off completely inside while attempting to cut an opening near the stem. 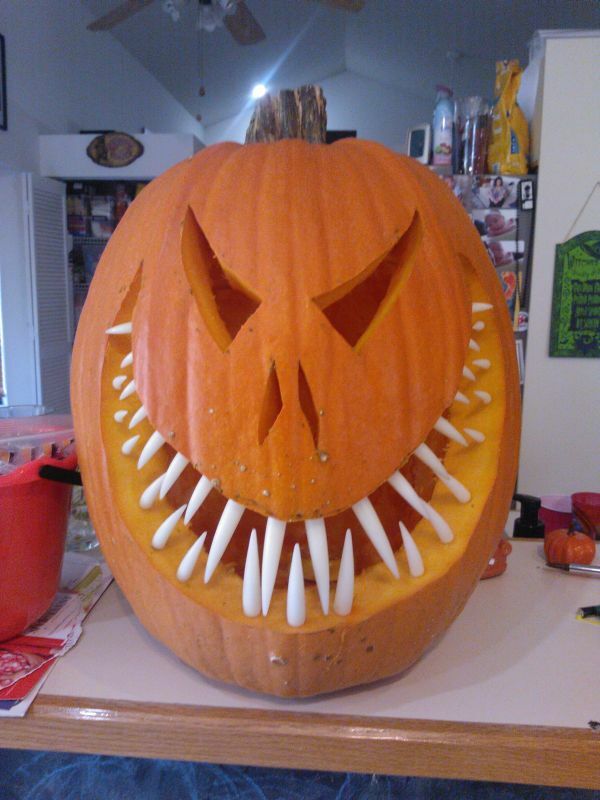 Also if anyoneis wondering the teeth are from PUMPKIN TEETH , I love them and use them every year now! 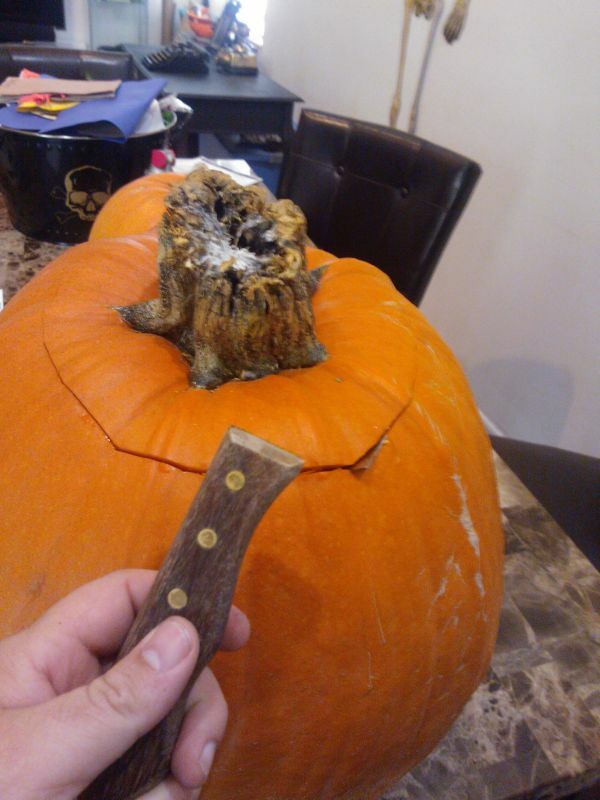 Yeah I didn’t need that knife anyway……………right? « Show Me Your Skulls!